← I Took the Plunge! The plant in the photo above has been living contentedly on our kitchen table for nearly a year. I bought it last summer for $20 from a vendor on the grounds of the Coastal Maine Botanical Gardens. It’s a variegated jade plant, and I fell in love with it immediately. I water it thoroughly once a week, which seems to be just about right. 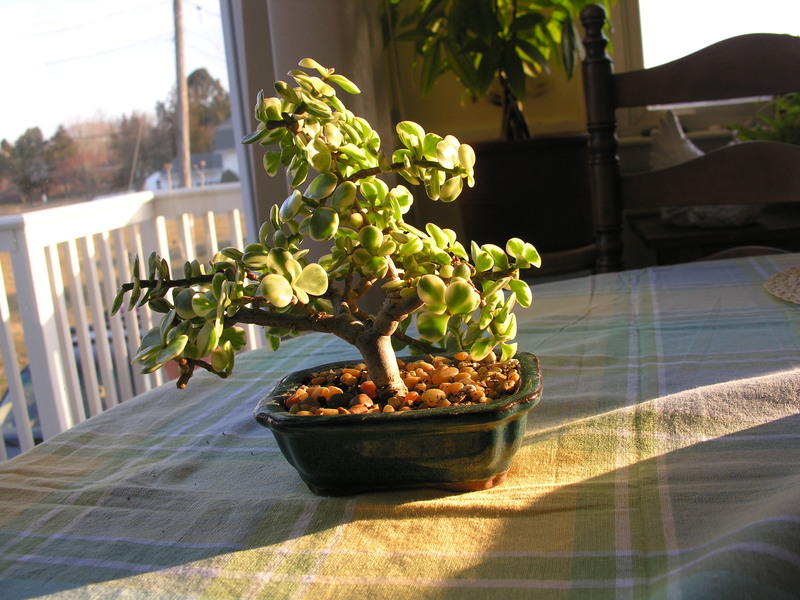 Jade plants are well-suited to being grown as bonsai. I love them in their natural form, too, but this little specimen is both interesting and charming. I wish I knew how old it is. I forgot to ask the seller.